Consoles come in many shapes, sizes and styles and you’ll find that there is always space to fit at least one in every home. 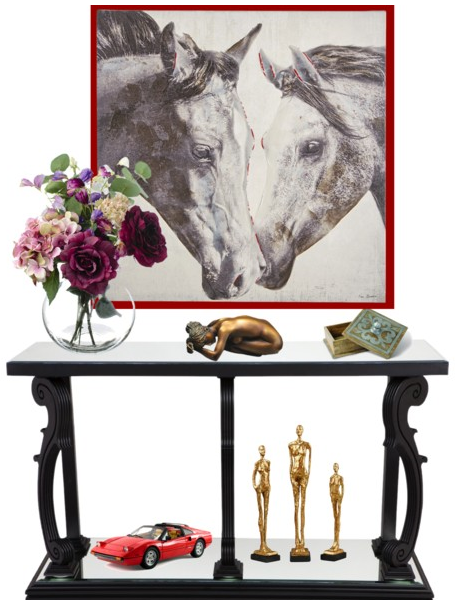 This unique furniture is one piece that you can have to show off your artwork, décor items, and prized mementoes. Not only that. A console can also serve as a makeshift bar or even something as basic as a TV stand. From the classic, chic and streamlined to the rustic farmhouse and modern style, console tables are one of the most practical pieces of furniture you should have in your home, whether you think you have space for one, or not. Aesthetically pleasing, especially if decorated stylishly, many homeowners often overlook the fact that they can provide a zone for decorative display while also serving as a space for storage of sorts. And when placed against a wall, a backdrop of your favourite wall painting or framed mirror will turn the space into a room’s focal point. 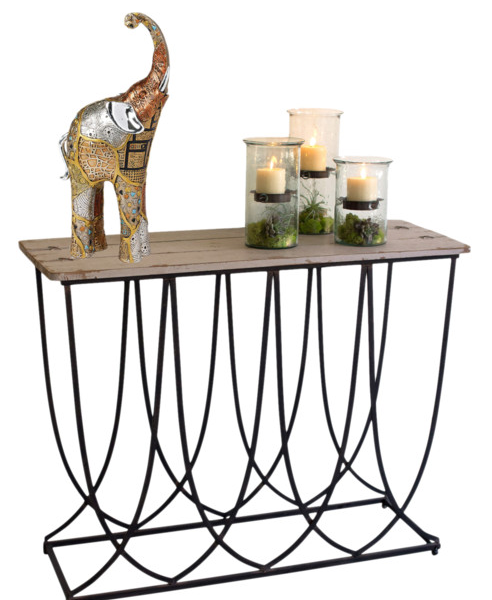 Though console tables have limited spaces to display because they mostly have skinny surfaces, yet they are pieces of furniture that should be viewed as a microcosm of design preferences. 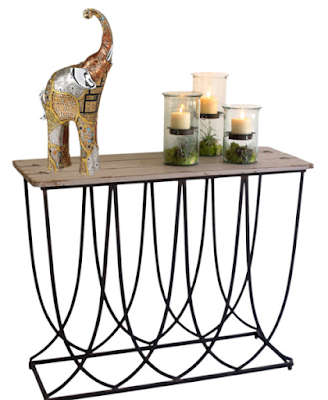 Though there is no hard and fast rule on how to style a console table, there are a couple of tips you can follow to ensure your console table and its contents not only look stylish, but also make a great statement. Less is more - When it comes to interior design, sometimes less is more. This also applies to surfaces that hold items of decorative display. Create a balance - Work in both verticals and horizontals. For instance, if you place a table lamp on your console table, make sure you balance if off with a couple of low objects like a little treasure box and a bowl of potpourri; ceramic ware, a set of cubic bowls, or a small mother of pearl inlay tray for your car keys. 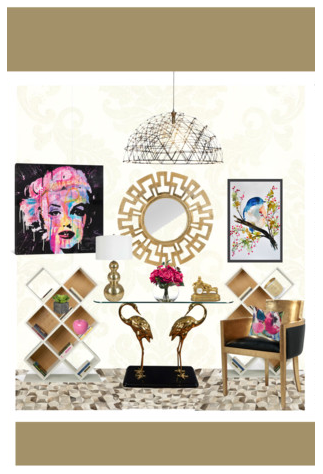 Choose shapes wisely – Use decorative items with different shapes – rounds, squares, rectangles, cylindrical, etc... The art shapes and objects you use can take the space in any direction you wish. So, rather than clutter the surface of your console table with a little of this and a little of that, make a few strong choices. It will create twice the impact. If you don’t have items to display (but you probably do), scour the flea markets for great finds. You’ll be amazed at what you may discover in these markets, and at such cheap prices too. Online stores are another place where you may find exotic or plain simple décor items that will make your console look beautiful. What is a Roman Shade? How High Should You Hang Your Curtains and Drapery? This blog contains affiliate links and I will be compensated if you make a purchase after clicking through my links. Copyright © 2019 Simple Interior Concepts. All Rights Reserved. Simple theme. Powered by Blogger.